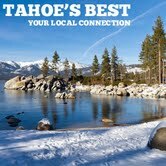 Scenic tours of Lake Tahoe and its surrounding mountains are available from South Lake Tahoe and Truckee airport. Helicopters can accommodate groups of three or larger groups of six plus the pilot and have a two-person minimum. Tours of Emerald Bay, Zephyr Cove and Sand Harbor are available. More information about Reno Tahoe Helicopters here. Tahoe Massage & Bodywork is located in South Lake Tahoe and offers hot stone massages, heated tables and aromatherapy. The massage therapist is licensed and has training in sports massage, deep tissue massage and Swedish massage. This resort offers the comforts that come with living in an RV combined with the thrill of camping in the great outdoors. Tahoe Valley Campground provides its guests with amenities like a swimming pool, picnic and barbecue areas along with restroom facilities. Pets are welcome. Music this fall in Lake Tahoe ranges from electronic music to rock music. Visitors who are into electronic dance music can see Bassnectar perform at MontBleu Resort Casino & Spa on November 6th. Or perhaps you would rather opt for something a bit more rock & roll -- classic rock icons Cheap Trick will take the stage on November 21 and Poison's Bret Michaels will perform on the 29th, both at MontBleu. Full list of upcoming Lake Tahoe events here. Guests at this hotel will be able to enjoy views of the Lake Tahoe area while staying in cabin-style rooms. They get easy access to the hotel's private beach while also being able to visit casinos and restaurants easily. Enjoy the vacation at 3 Peaks Resort and Beach Club! Snow season visitors to the Tahoe area have numerous options when it comes to having fun in the powder. Along with the ever popular skiing and snowboarding, they can visit Sierra Mountain Sports on Lake Parkway and use their track to go snowmobiling and snow tubing.